It’s the extras that make Thanksgiving Dinner such an ordeal. 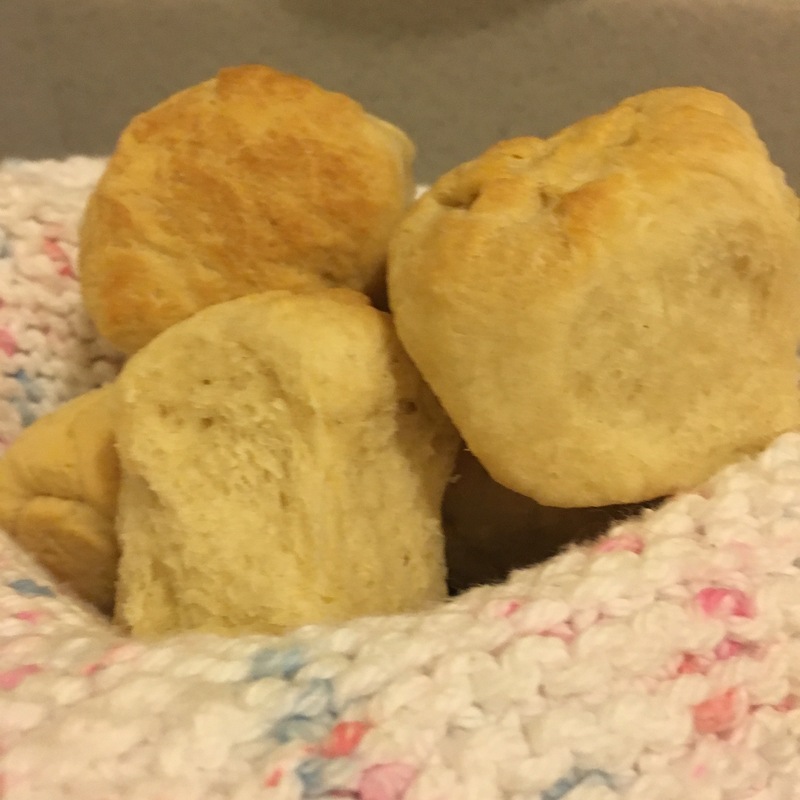 These foolproof recipes for dinner rolls with honey butter are easy enough to prepare ahead of time and are the little extras that make a good Thanksgiving great! 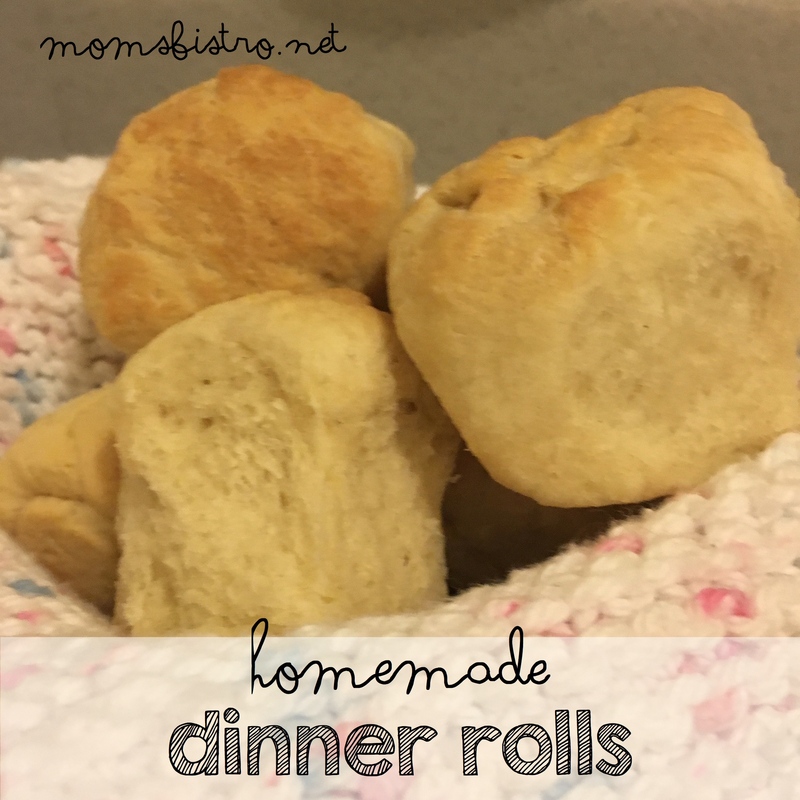 When I say these rolls are super easy, I really mean they are super easy. The hardest part of it all is waiting for the yeast to rise! 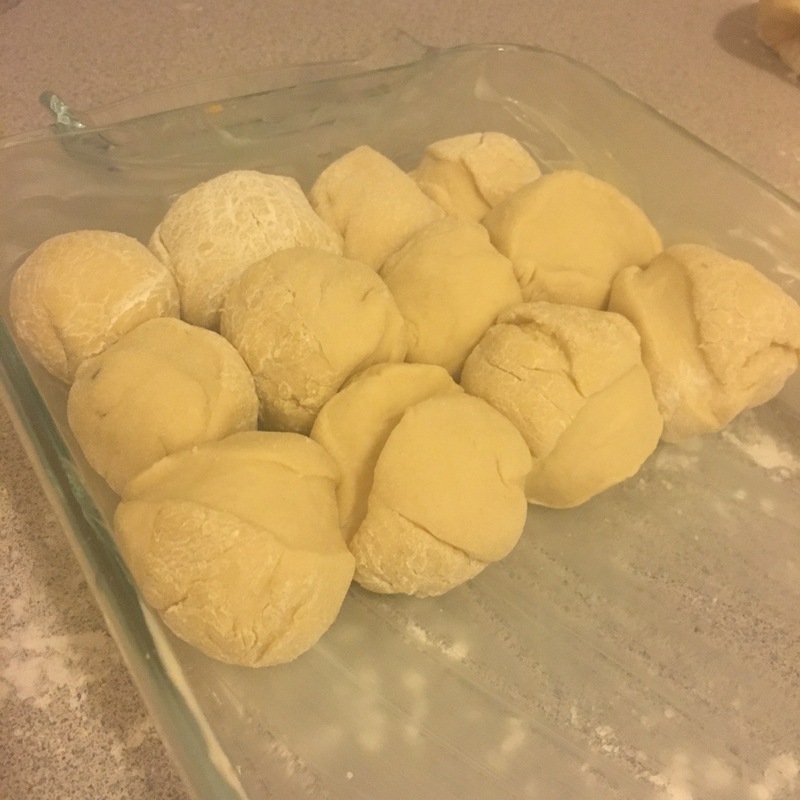 There is no need for any fancy tools or anything like that with these dinner rolls – just a large bowl and some patience! 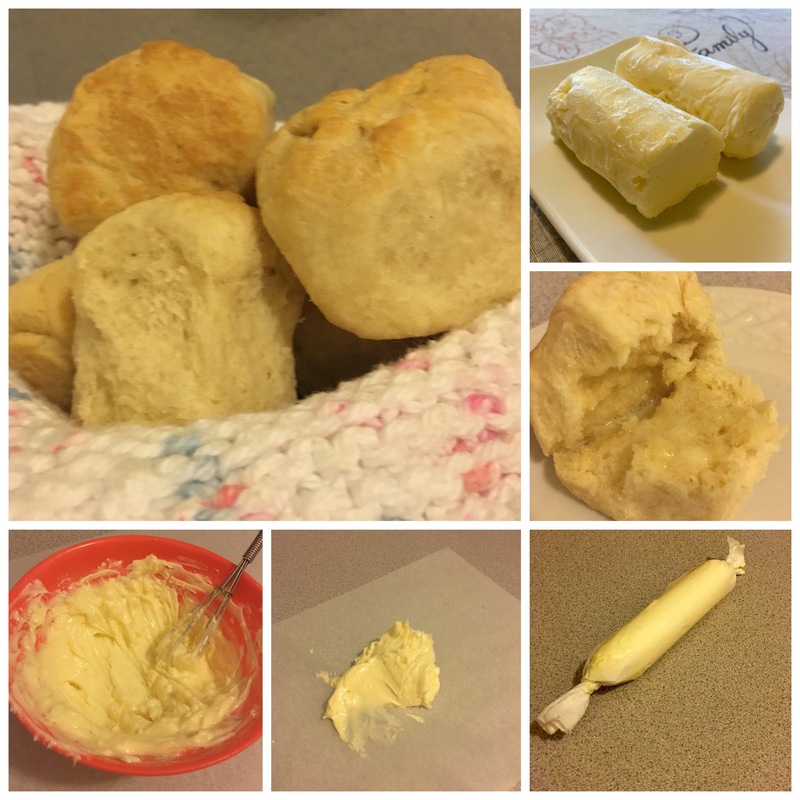 The honey butter recipe is so simple and adds an extra something to your dinner rolls. Your guests will be wondering why dinner is extra delicious, and you can guarantee it’s the homemade extras like these rolls and this honey butter that they will be talking about. A compound butter is just a mixture of butter and other sweet ingredients. 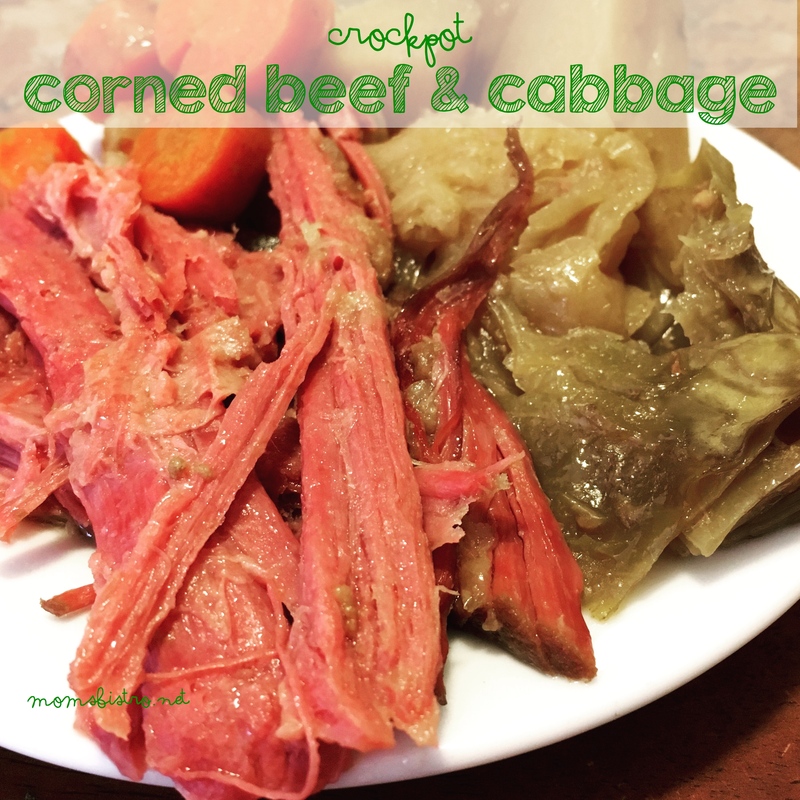 It is a simple, but elegant way to elevate any meal – especially Thanksgiving. 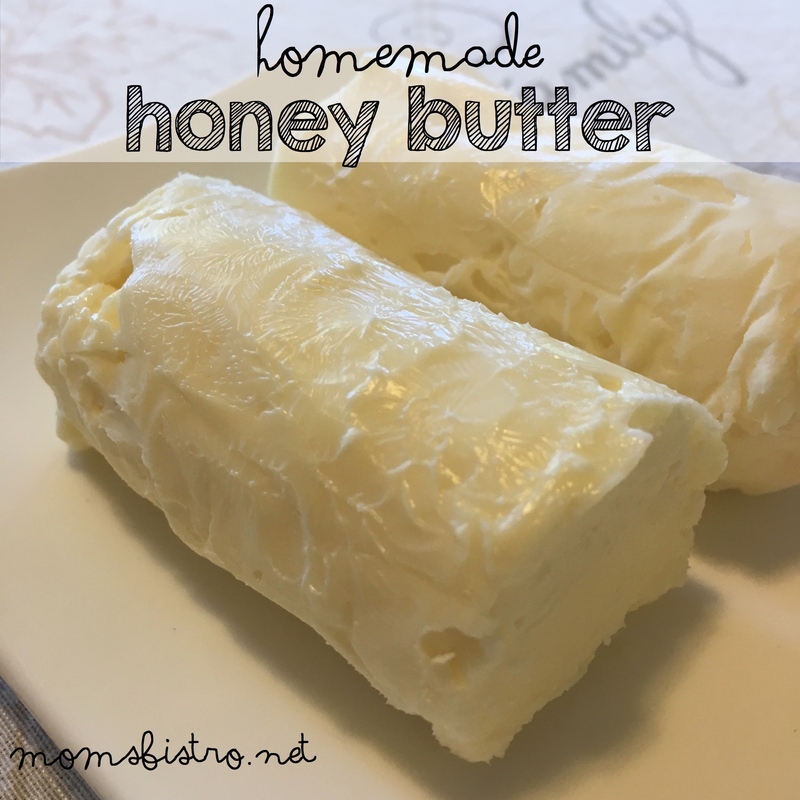 To make this easy honey butter simply mix 1 stick of softened butter with 1 tbsp honey and a pinch of salt and whisk until smooth, light and fluffy. Dump onto a piece of parchment paper and shape into a cylinder and seal by twisting ends and cover with plastic wrap. Chill in fridge until warm. Unwrap and serve at room temperature. 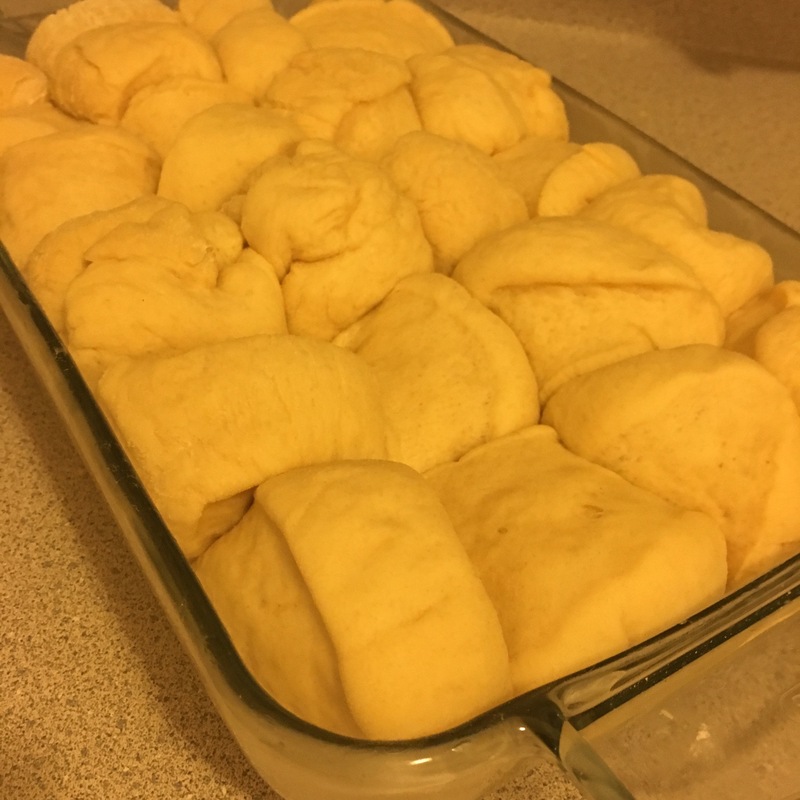 Before making your dinner rolls, gather all of your ingredients and measure them out. 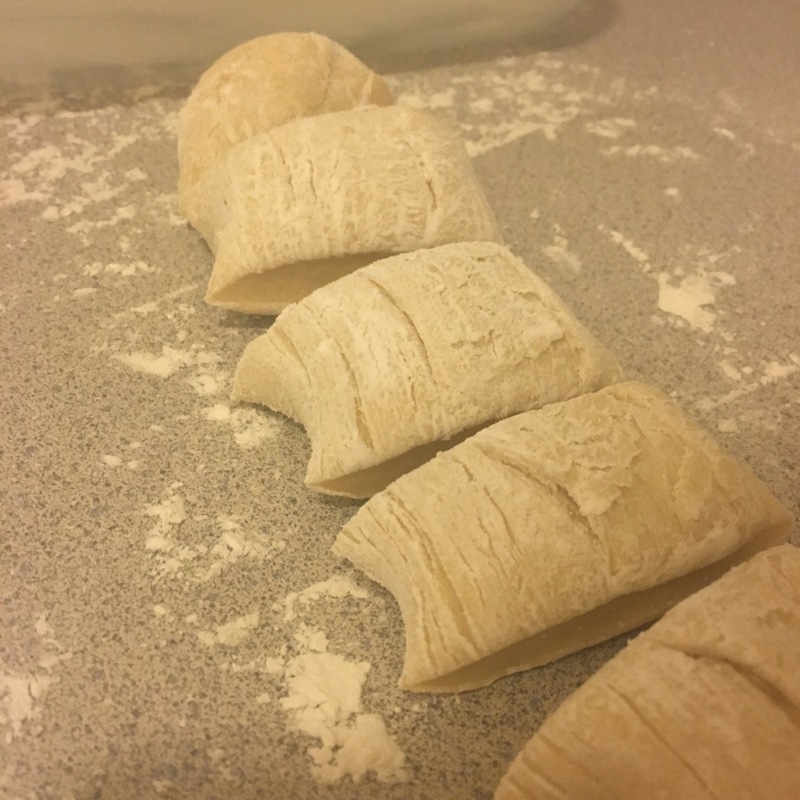 When baking it is essential to have everything properly measured, and by doing this ahead of time you’ll make perfect rolls every time. Place water in a small bowl, and sprinkle over yeast. 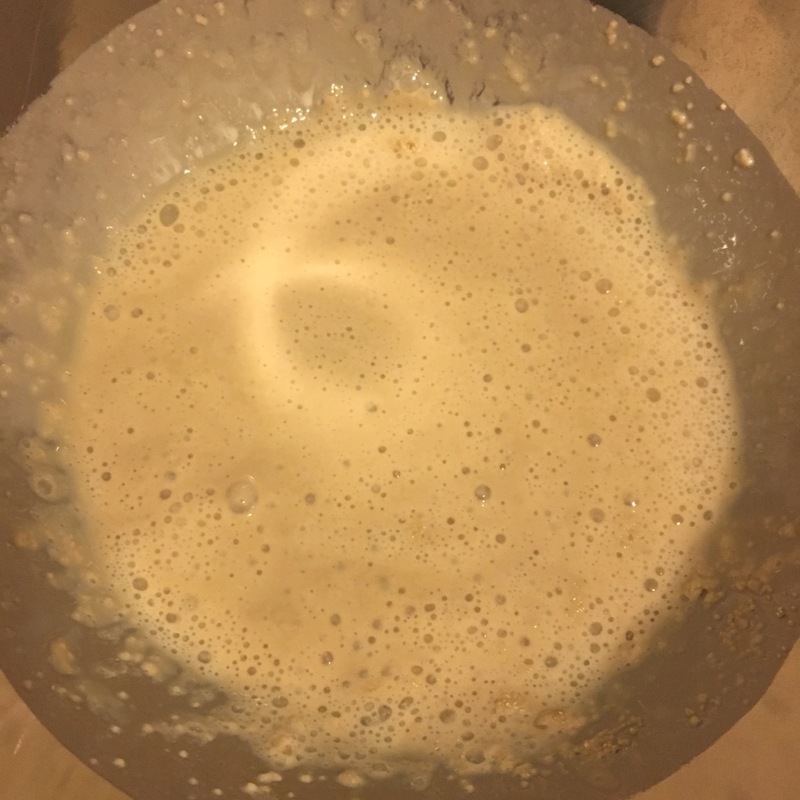 Stir in and let sit until foamy – about 10 minutes. 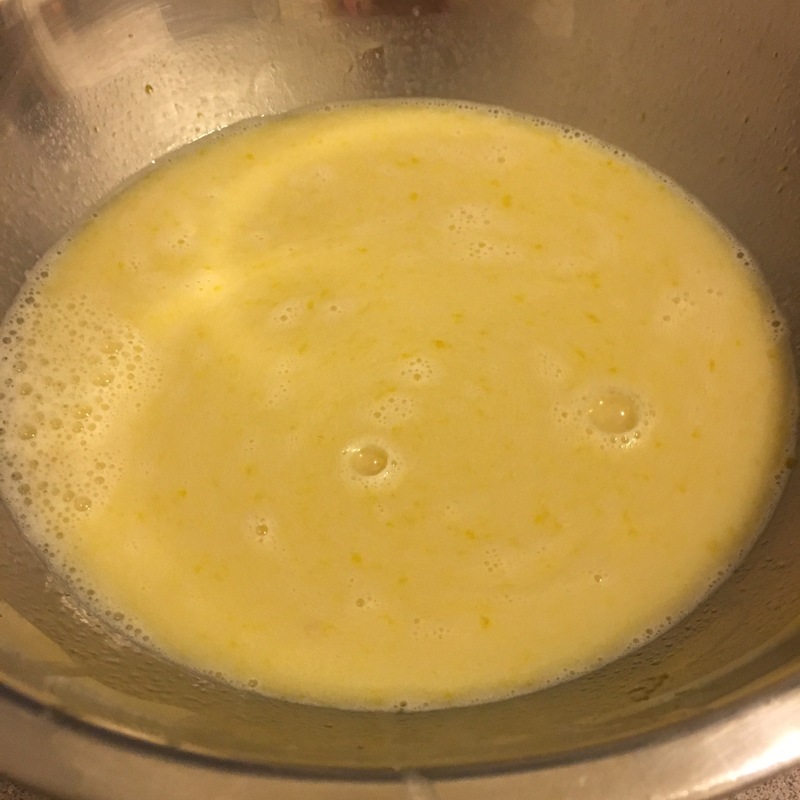 In a large bowl, mix warm milk, butter, sugar, salt and 2 eggs. 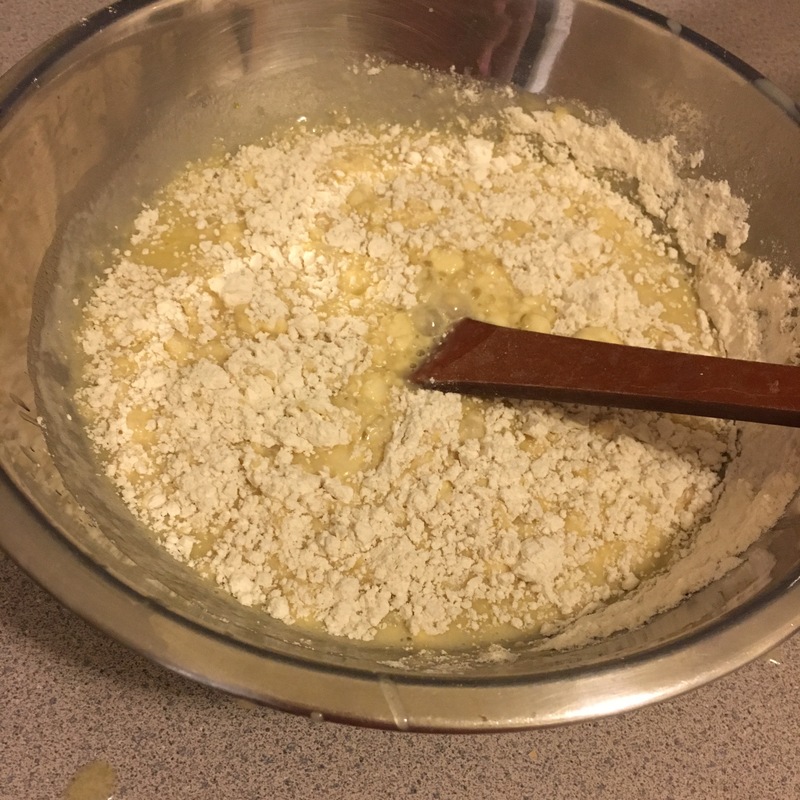 Whisk in the yeast mixture. 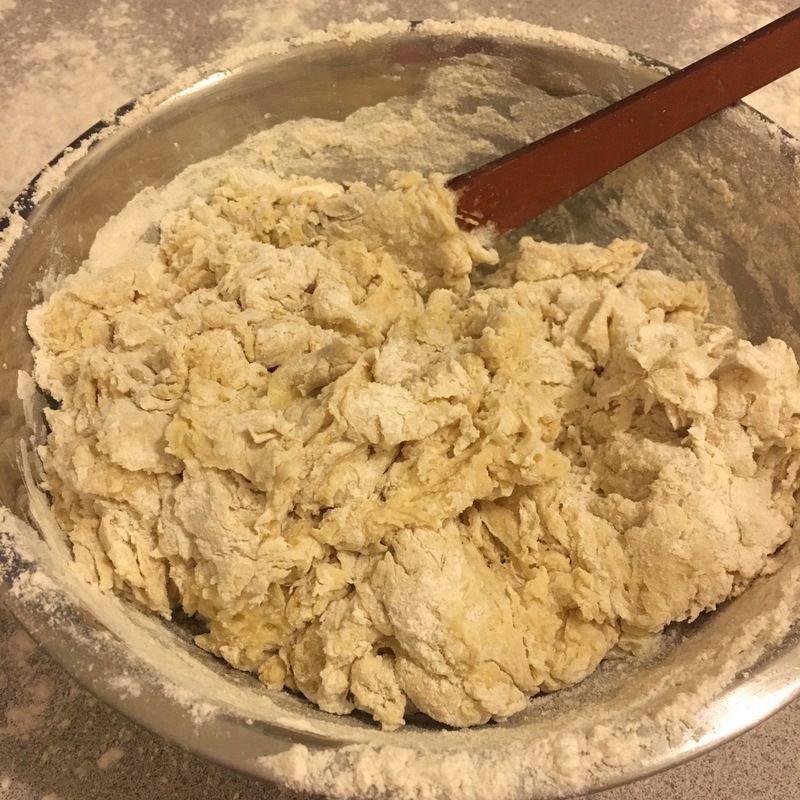 With a wooden spoon, stir in flour 1 cup at a time until a soft shaggy dough forms. 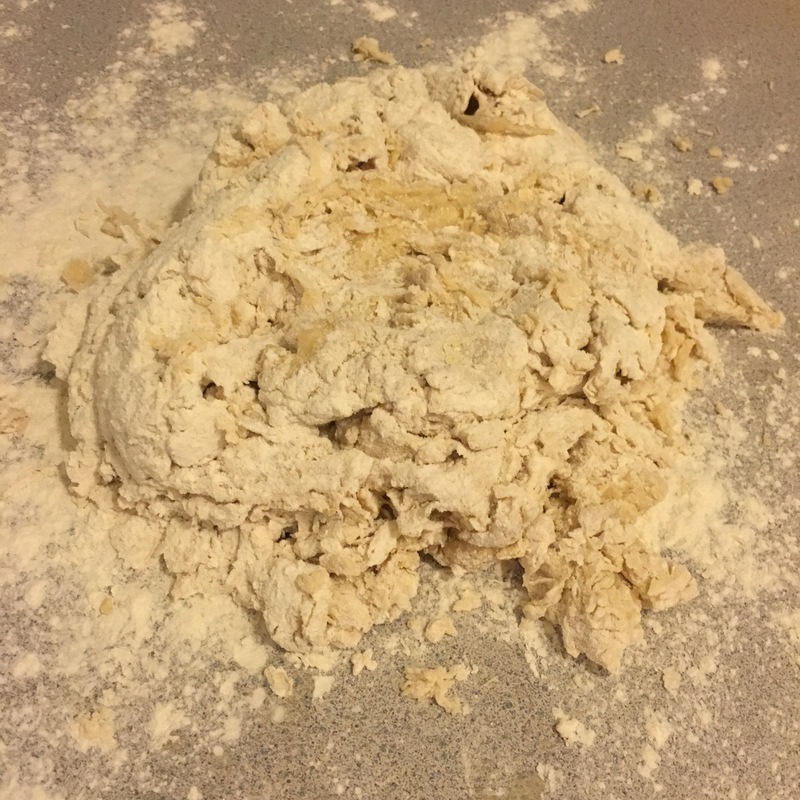 Dump dough onto a lightly floured surface. Knead until smooth – about 10 minutes. 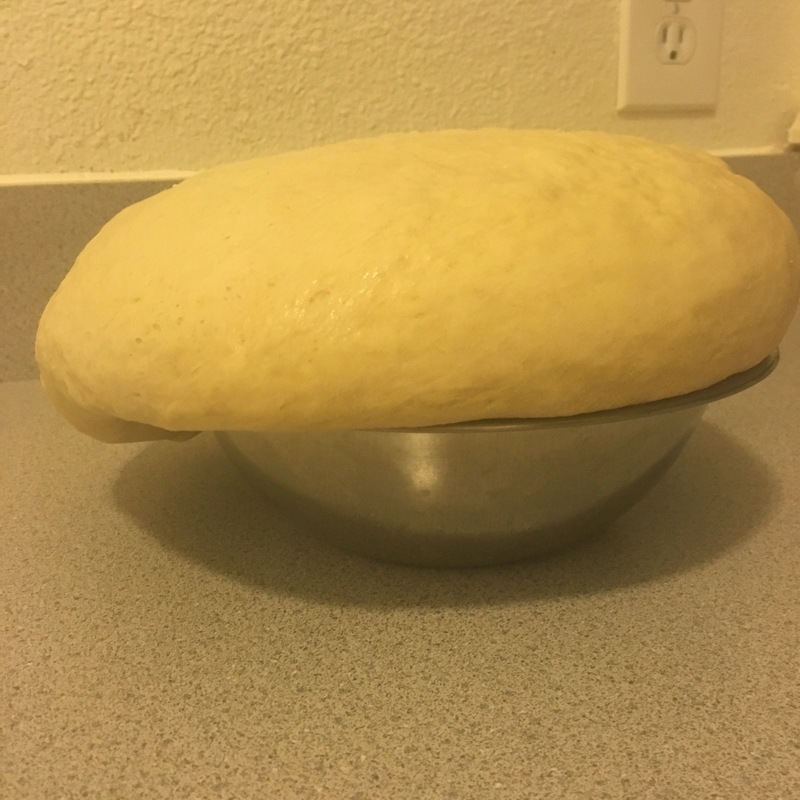 Place dough in a large buttered bowl and let rest, covered for 1 1/4 hours. 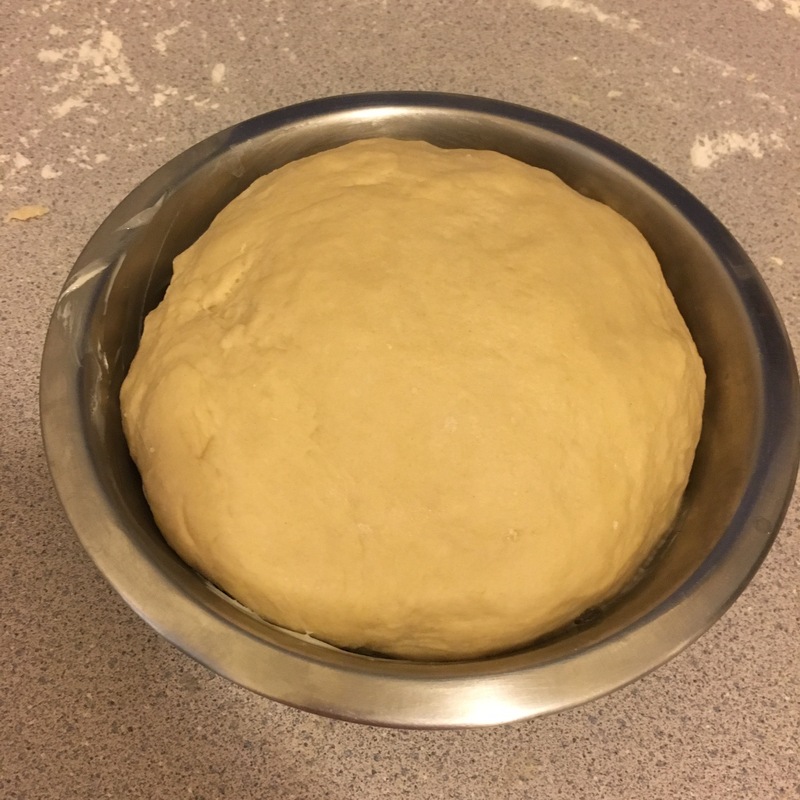 Once dough has rested, butter a 9×13 dish, and set aside. 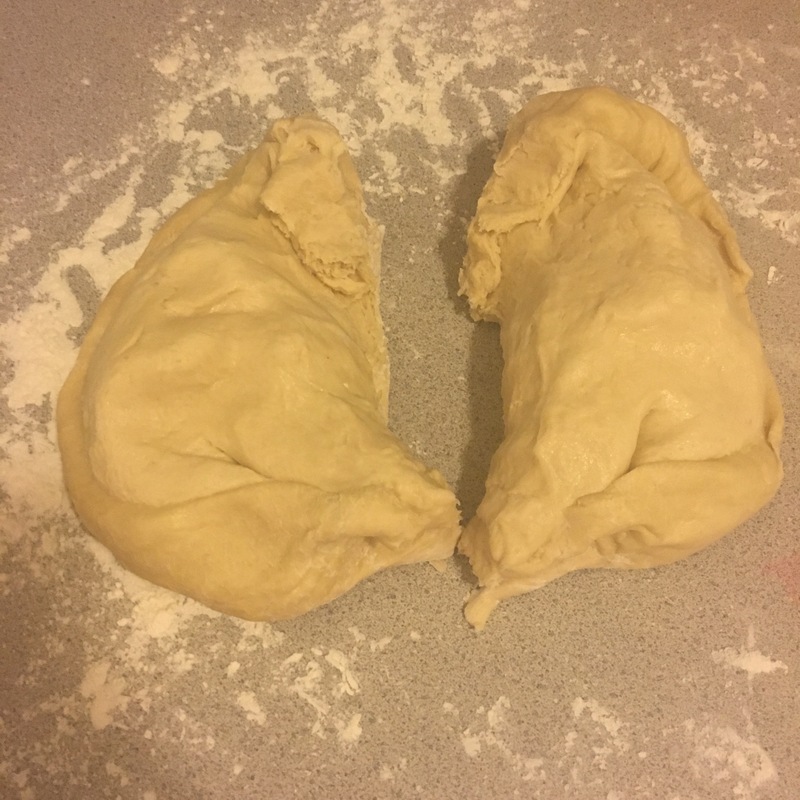 Dump dough onto a lightly floured surface and divide in half. 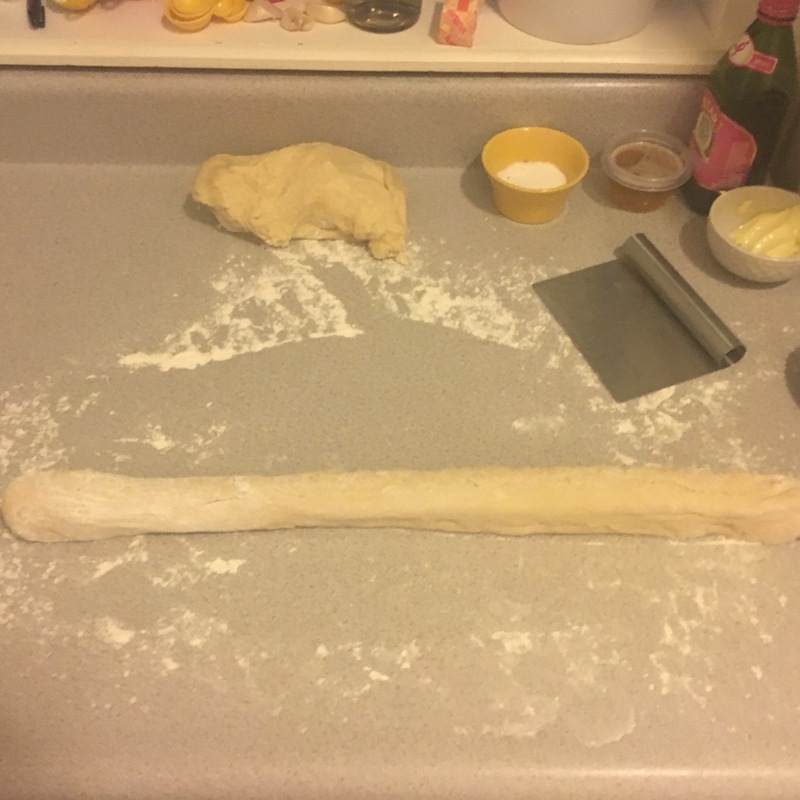 Make two, 12” ropes out of each half of dough, and cut into 1” pieces. Roll each piece into a ball and place in buttered pan. Let rest another 1 1/4 hours. While resting, preheat oven to 375 degrees. 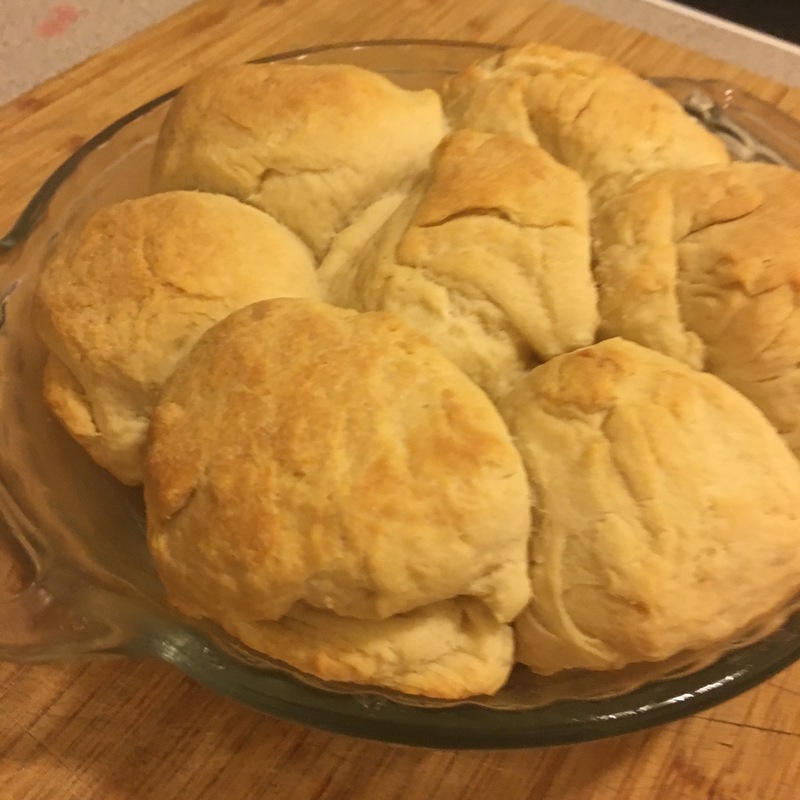 Beat remaining egg and brush over rolls. 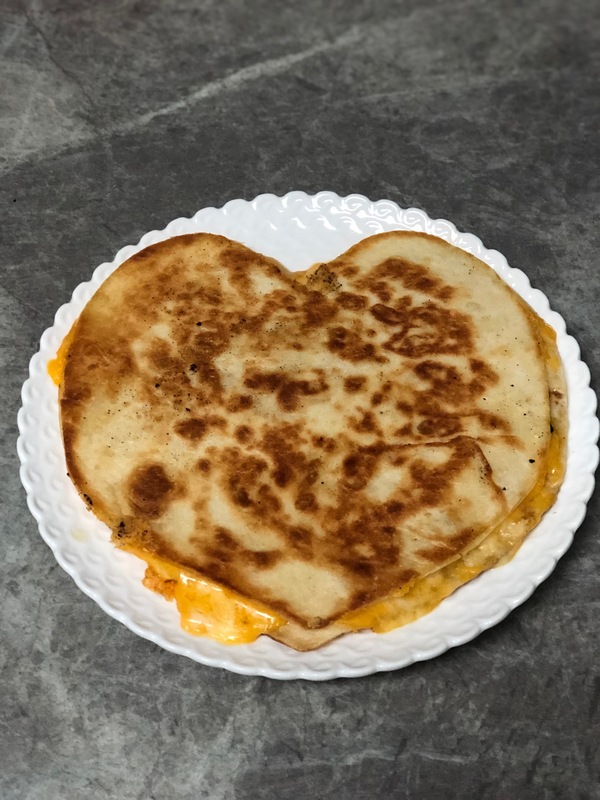 Bake for 20 minutes and serve warm. If you’re making these rolls for your Thanksgiving Dinner, make them the night before, or even two days before. Let cool at room temperature, and then place in a ziplock bag to keep fresh. Warm in a 350 degree oven for 5 minutes before serving. Want the free printable to add to your collection? 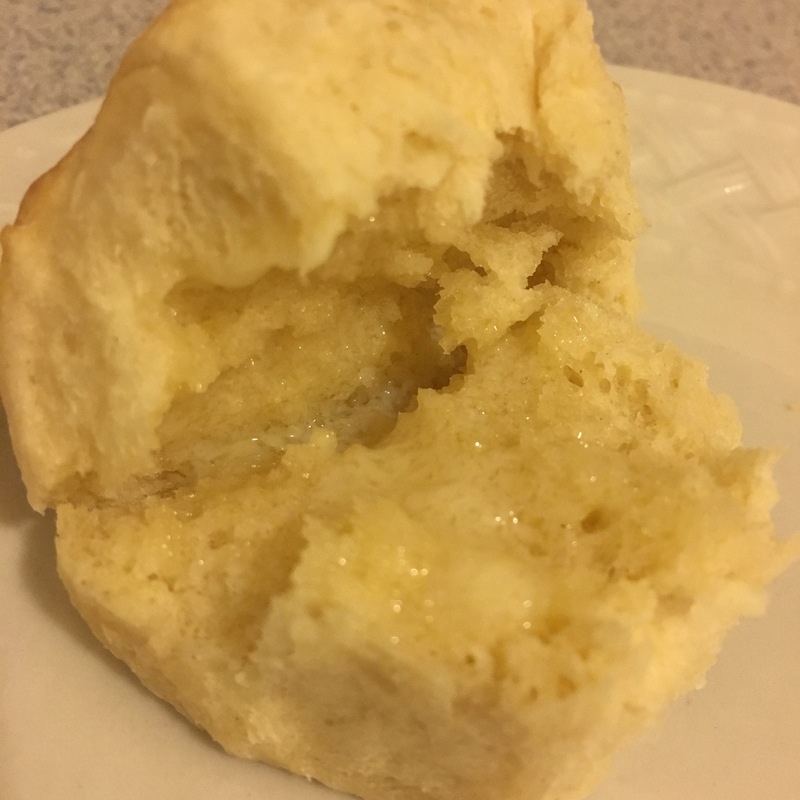 Click the links below for a FREE PDF version of the dinner rolls and honey butter recipes from above.